The Volkswagen CC is a perennial favorite among consumers and critics due to its striking appearance, excellent fit and finish, luxury features and refined performance. 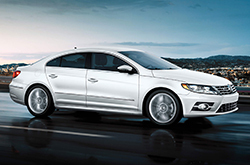 Purchase a 2016 Volkswagen CC in Orlando, Florida, and you'll be the envy of your neighborhood. Changes to the VW CC lineup include the debut of a new entry-level trim, two fresh R-Line trims, added safety tech on the top-tier CC trim, and enhancements to the infotainment system, which gains Apple CarPlay and Android Auto capability this year. The current CC lineup has been revised to the following: Trend, Sport, R-Line, R-Line Executive, R-Line Executive with Carbon, and V6 4Motion Executive. 2016 Volkswagen CC reviews say the brand-new base model, Trend, is an excellent value with features like a rearview camera, Bluetooth connectivity, heated outside mirrors, heated front seats, and other sophisticated features that offer a high level driving experience. This year, safety is further emphasized thanks to the addition of advanced driver-assist technologies on the lineup's top-tier trim. 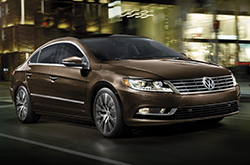 The Volkswagen CC 4Motion Executive receives the following systems as standard for the 2016 model year: adaptive cruise control, lane departure warning, and forward collision warning with autonomous emergency braking (front assist). 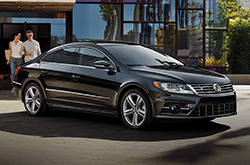 Visit David Maus VW South and test drive a 2016 Volkswagen CC in Orlando! Along with learning more about the lineup's features firsthand, you'll also get to experience the car's performance. Powering the CC (except 4Motion Executive models) is a 2.0-liter turbocharged four-cylinder that's rated at 200 hp and 207 pound-feet of torque. Depending on the trim level you choose, the four-cylinder can be mated to either a six-speed automatic gearbox with manual shifting ability or a six-speed manual, if you don't prefer an automatic period. Models with the four-cylinder come standard with front-wheel drive. The Volkswagen CC 4Motion Executive takes performance to the next level with all-wheel drive and a 3.6-liter V6 that's rated at 280 hp and 265 pound-feet of torque. The V6 is mated to a standard six-speed automatic transmission. Want to learn more about this elite sedan? See the rest of David Maus VW South's 2016 Volkswagen CC review below. We're more than confident that the CC is perfectly designed for you. That's why we want you to compare Volkswagen's most current model head-to-head with the 2016 Buick Regal, Mercedes-Benz C-Class and the Acura TSX. Just a few of the characteristics that shoppers in FL will be won over by are the CC's sharp exterior styling and cut-rate pricing. You'll clearly see it's a truly amazing value when you compare its price to competing vehicles. Check out our Quick List underneath this text for more details about its vehicle specs! Thank you for reading David Maus Volkswagen South's 2016 CC review! As the chief Volkswagen dealer in Orlando it is our responsibility to provide our customers with reviews drafted by the best Volkswagen writers around. 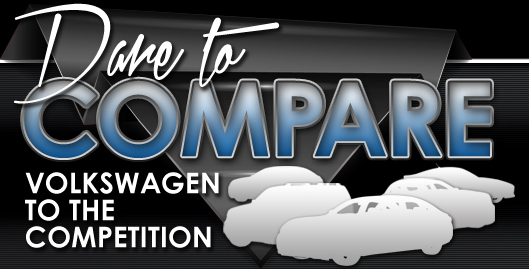 Everything you need to know about the CC and other Volkswagens is right on our site. Each overview is overloaded with vehicle specs and helpful facts pulled directly from Volkswagen and other sources you can count on to give you accurate info. Not sure if the CC? is tailor made for you? Check out our online research index to read more Volkswagen reviews and to compare David Maus Volkswagen South's models to vehicles from other auto manufacturers.